After being crowned Miss Universe in 2004, Jennifer Hawkins hasn't stopped working - and not just as a model. The stunning blonde has stayed firmly in the public eye thanks to her multiple presenting and brand ambassador roles and, more impressively, her own business ventures: J-Bronze tanning products and Sesión tequila. While countless other celebrities lend their name to already established beauty and alcholol brands, it is perhaps an anomaly that Hawkins has built both entreprises from the ground up - Sesión, in particular. 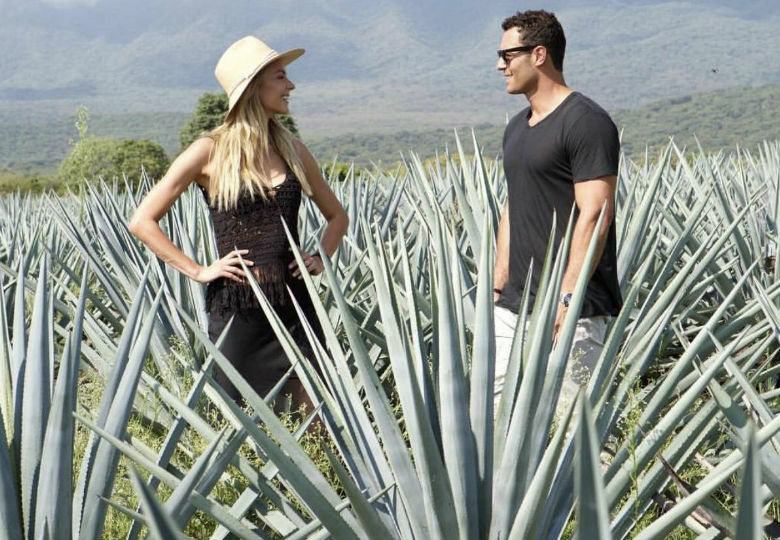 Citing tequila as her favourite drink, Hawkins and her husband Jake Wall decided to create their own brand, even travelling to Mexico to oversee the the entire process from the harvesting of the agave to the bottling. With the cooler months now encroaching upon us, Hawkins was keen to share why tequila was her favourite drink in winter, and dispelling the time-honoured myth that the spirit will produce the "worst hangovers ever". What is your favourite way to enjoy tequila on a cold, winter's night? Well, Sesión Tequila does give you a nice warm buzz, so it's perfect for summer or winter. Whether itis an Espresso Martini made with Sesión Mocha, or a margarita using our Reposado.. or absolutely any cocktail you like with our Blanco. How has the Australian response been to Sesión? Sesión Tequila has been such an exciting venture. The launch was a rush because it was years in the making and now it's the daily grind (which I love) of business- goals, planning, marketing and finally pure strategy with the whole team. When Sesión Tequila won gold and silver at the world liquor awards in San Francisco (in 2016) that's when Aussies went, "oh hey, give me some of that"! We were so shocked that we won only six months after launching. We have some very exciting things in the pipeline in Australia and overseas. Can't wait to share. Why is Sesión in a league of its own when it comes to tequila? I do love hearing people say that statement - it makes us super proud. We are just grateful to work on Sesión with our distilling partners at Tierra De Agaves, Mexico, as they have an incredible heritage dating back over 250 years through the Beckmann family who are eighth generation distillers. So we are confident in saying it's super premium, and bloody smooth! A lot of people say they can't drink tequila because they get such a bad hangover – how is Sesión different? Ha. That old story! That's when people were drinking tequila that had poor quality agave and a lot of preservatives. If you drink a premium 100% Pure Blue Agave tequila, like Sesión Tequila, you won't get a hangover. Usually it's the processed sugars in cocktails that gives you a hangover. We don't think of Sesión Tequila as a 'shots drink', it's to sip and to savour. What would be your IDEAL location to enjoy Sesión? Any location with a beautiful sunset, chilled tunes, any season with Jake by my side. To find out more about why tequila makes the perfect winter drink pick up a copy of Robb Report Australia and NZ May/June issue. Avaialble now.